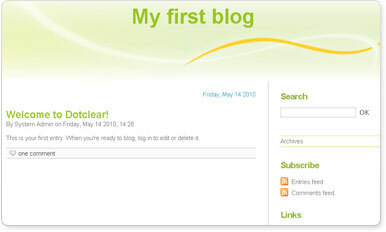 Dotclear is an open-source web publishing software created in 2002 by Olivier Meunier. A one man's project at first, Dotclear soon gathered a team comprising different personalities with various backgrounds. The project's purpose is to provide a user-friendly tool allowing anyone to publish on the web, regardless of their technical skills.